One of the best performances in what was a solid night of fights at UFC 223 came on the preliminary card, in the fight between lightweight gatekeeper Evan Dunham and former TUF standout Olivier Aubin-Mercier. 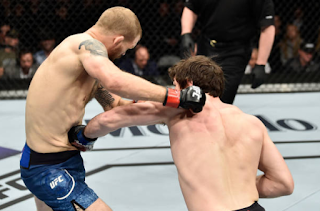 Though Dunham was on a five-fight unbeaten streak and was looking like a darkhorse contender at 155 lbs once again, OAM wasn't about to let this huge opportunity against the lightweight division's ultimate gatekeeper pass him by. After Mairbek Taisumov pulled out of the fight due to visa issues, OAM stepped up on short notice to fight Dunham. And it turned out to be a great decision, as he went out there and knocked Dunham out with body shots in less than a minute. 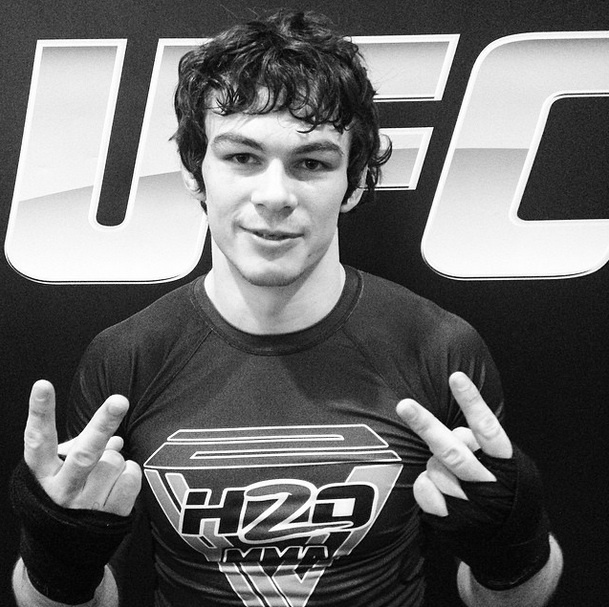 The win improves OAM's record to 7-2 in the UFC, which is a terrific record in the stacked lightweight division. Five of his UFC wins have come via stoppage, and his two losses both came by decision. He has shown that he is getting better and improving every time he steps into the cage, and his record is really impressive. At just 29 years old and coming off of a four-fight win streak, OAM has put himself in very good shape at lightweight as one of the division's top fighters under 30. There's a chance he will get a top-15 ranking when the next set of UFC rankings come out since Dunham was ranked #14, but even if he doesn't, there's a good chance the UFC matchmakers give him a top-10 opponent for his next bout anyway. He absolutely deserves it based on the way he's been fighting lately, that's for sure. It's been pretty amazing to watch him improve since losing his UFC debut. OAM also has the potential to be a big star for the Canadian market. The UFC has been desperate to find that next big Canadian star ever since Georges St-Pierre started playing his cat-and-mouse game of retirement back in 2013, not to mention letting his heir apparent Rory MacDonald go to Bellator in one of the UFC's most shortsighted moves to date. The promotion has very few Canadian fighters under contract in general, let alone contenders. There's Alexis Davis in the women's flyweight division, who has some potential to fight for the belt in that weight class, but doesn't really have star potential. And when we've seen young up-and-comers like Hakeem Dawodu show up with big expectations, they have failed to take that next step. So OAM's emergence is great for Canadian MMA at a time when the country is in desperate need for someone to get behind. During the UFC 223 broadcast, the promotion listed its upcoming fight card schedule for the summer, and one of the events the UFC has planned is a card in Canada at the end of July. Now these are only rumors, as the date is not locked in yet, but Canada is getting a fight card in some form or fashion this summer, and you'd better believe OAM will be on it. In my opinion, the UFC should either have him headline the card or at least co-headline it. If the promotion does choose to headline the card with OAM, it will have to match him up with a big name at lightweight, so someone like Anthony Pettis could make sense, but a co-main event against a a guy like Paul Felder would be awesome too. Regardless of opponent and card placement, I'd say there's a great chance OAM gets a fight on that Canadian card. It's great to see a guy like OAM make the necessary improvements in his career to turn from just another guy in the UFC's stacked lightweight division into a bona fide top-15 fighter. The young Canadian is a completely different fighter now than the one we saw on TUF; he was just a grappler back then, but now he's a well-rounded mixed martial artist with terrific striking. The fact that he was able to finish a durable fighter like Dunham speaks volumes as to how much OAM has improved. And it's come at the perfect time, as Canada is hunting for its next big star. 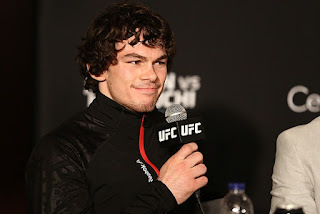 The UFC has struck gold with OAM, who not only is a great fighter but also has a great personality, and it will be interesting to see what its matchmakers plan to do with him next.